We are all familiar with Google as a search engine, in fact for most of us it’s the first place we go online when looking for something, and for many of us it’s our browser’s default home page. But have you ever looked deeper and worked out how to make Google work harder for you? Here’s a short list of 17 ways that you can fine tune Google and use it more effectively. Google does a pretty good job of working out what you’re looking for, but the more specific you are the better your results will be. Using operators does just that, so for example enclosing a phrase in quotation marks â€” “like this” â€” searches for that specific phrase, adding a minus sign excludes that word (salsa recipe -tomatoes) and using OR gives Google a choice, eg. World Cup location 2014 or 2022. The define: operator, as you might expect, gives you definitions â€” so define:search gives you the dictionary definition of search and synonyms such as hunt, look, scout and dig. Fancy a film? Movie times Bristol tells you what’s on in that particular city, and if you use a specific cinema name, such as movie times Cineworld, you’ll see what’s on in that particular cinema. Here’s another handy operator: Related. This one helps you find pages that are similar to one you already know about, so for example Â Â related:techradar.com tells you about sites related to tech Radar..
You probably already know that Google will carry out sums if you type them in the search box â€” 4*15 gives you 60, 2*2*3*4 gives you 48 but it can also convert units and currencies. 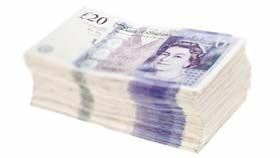 Convert 200 USD to Â£ converts dollars to pounds, and you can also convert measurements such as distance, weight and temperature. Some food-related searches will display nutritional information, so looking for chocolate cake will display the calories, nutrients, vitamins and fat in a typical recipe. Where it gets clever is when you tell Google to compare things, such as compare apples and oranges or compare bacon and tofu. You can quickly check details on Google. Type weather and you’ll see the current conditions and a seven-day forecast; add the name of a town to get the weather report from a different location. Type flight BA1491 to see the status of a flight, time New York to see the local time in that location, sunrise London to see when the sun’s coming up or GOOG to see Google’s stock information. If you type a generic term such as “Italian restaurant”, Google will show you results in and around your current location along with a map showing where they are. If you’d rather be more specific, enter the postal code at the end of your query. If you’re using Chrome, Android or the Google iOS app, you can search by voice: press or click on the microphone icon and tell Google what you’re looking for â€“ provided you have a microphone plugged in of course. If you have an Android phone running the latest version all you have to do is say â€œOK Googleâ€ when the search bar is visible and you can dictate your search â€“ or other commands â€“ directly. Image search often throws up seemingly unrelated pictures, so filter your searches. Some terms produce all kinds of search results, so for example an image search for “heather” brings you plants, Heather Graham and Heather from EastEnders. Google will offer to filter those results for you â€” so for example our search for heather gives us the options “plant”, “flower”, “eastenders”, “scottish” and so on. You can use the Search Tools button to filter by size, colour, type â€” such as photos of people or illustrations, time and whether you can use the photos without payment. Remember your operators too: heather -graham produces a screen full of Heathers but no Heather Graham. If you click on Search Tools you’ll see four filtering options: The country, so for example in the UK you can search anywhere or limit your results to UK websites; the date and/or time of publication, ranging from the last hour to the last year; by reading level; and whether Google should use your current location. It’s easy to discover who’s linking to your site, or to any other page you want to know about: Just use the link: operator, link:techradar.com tells you who’s linking to us. The filetype: operator enables you to search for specific kinds of file, such as Word documents or PDFs. Google indexes most things, so it’s just a matter of dropping the dot from the file extension and searching for filetype:xml, filetype:svg or filetype:cs. It’s important to note that Google only searches for the file extension, so an XML document that isn’t saved with the .xml extension won’t show up in a filetype:xml search. Now you can quickly offer flowery insults in any language. Need to translate something in a hurry? Just type translate language A language B (where language A is the language you’re translating from and language B the language you’re translating to) and you’ll see a big friendly translator at the top of the page. Google Trends shows you what others in your country are searching for, with occasionally puzzling results: at the time of writing the UK is interested in Boris Johnson, FIFA 15 and Vitamin D. Google even provides a screensaver that shows you real-time searches – presumably with filtering to screen out the scary stuff. Travel in style, or at least pretend to with Google Maps. If you search for Google in 1998 you’ll see Google as it was when it first launched. It’s not the only Google Easter egg: searching â€œdo the harlem shakeâ€ in YouTube makes the screen dance while â€œdo a barrel rollâ€ will spin the screen around. In maps, getting directions from Fort Augustus to Urquhart Castle in Scotland enables you to travel by Loch Ness Monster. Chromebook Diaries – In the real world. Earlier this year I wrote about Google Chromebooks, as a possible replacement for a Windows Laptop because I was looking to replace my 3 year old Toshiba Satellite that was getting older and slower and reaching the end of its useful life. I was wary of leaving the comfort and familiarity of Windows behind, having spent a lot of my working life using various releases of Windows and numerous versions of Office and so I dithered. I loved the concept but was unsure how it would integrate with my daily workload of Word documents, Excel spreadsheets, PowerPoints, email and web browsing, I even found a Windows laptop that was almost identical in size to a Chromebook, the Toshiba NB10. On the left is my 5.6lb/2.54kg Toshiba Satellite, in the middle is the 3.3lbs/1.3kg Toshiba NB10 and on the right is the 2.9lbs/1.3kg Dell Chromebook 11. The Toshiba that I was looking to replace had a 15.6″ screen whilst the other two have 11.6″ screens although the resolution is identical at 1366 x 768 so I’d actually see the same amount of information – just reduced in size. In an earlier post you can see that I finally made a decision, based on much research,and chose a Dell Chromebook. It’s very compact and lightweight, takes 7 seconds to boot from scratch and wakes from sleep almost immediately. Battery life is exceptional, I’ve had more than 8 hours from a single charge – which means that I no longer have to carry a heavy power supply, further reducing the weight and clutter that I tend to carry with me. The screen is a great compromise between portability and easy working and is good enough for day to day productivity and watching catch-up TV or films in downtime. Sound through the built in speakers is surprisingly loud and good quality and the keyboard is great. Google apps provides a word processor, spreadsheet and presentation tool to replace Microsoft Office and they’re pretty good. However, with an internet connection you can use Office 365, a cut down version of MS Office that runs in the cloud. If you still want to use Office on a desktop or Windows/Mac laptop then a monthly £9.99 subscription to Office 365 gives you 5 user licenses, unlimited web access AND 1Tb of cloud storage which is a perfect solution for smaller businesses and even home users. Yes, the Chromebook works best with an internet connection but there have been remarkably few times in the past 12 months where I’ve worked anywhere where there hasn’t been a Wi-Fi service or 3G/4G availability and that’s where my personal Wi-Fi hotspot comes in to play. 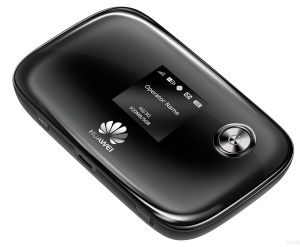 I have a Huawei E5776 Mi-Fi device that connects to 4 and 3G networks and shares the connection with up to 5 devices. Problem solved. I can even connect it to one of my monitors and use a wireless keyboard and mouse if I want to use it in my office. Bluetooth 4.0 provides connectivity to a wide range of Bluetooth accessories, including headsets, speakers and phones. Not much really – email handling is not as efficient as I had grown used to. There’s no Outlook type application where I can bring email from 3 accounts into one place, which I thought was going to pose a problem but all of my email accounts offer webmail, and that actually works far better that I thought it would, I just have to look in 3 tabs rather than one application so it’s more of an inconvenience rather than a real obstacle. Stuff you ought to be aware of. Of course, the above only relates to the way that I work, and for me a Chromebook is working out well. However, we all work in different ways so it’s important to point out some of the other things about Chromebooks when compared to Windows and Mac laptops. Tiny Hard Drives, in these days of 1Tb hard drives, the 16Gb or 32Gb hard drive in a Chromebook may be an issue. Of course, you can use USB keys, external hard-drives and Cloud storage to mitigate this to a degree but, if storage is necessary, and you don’t want to use external hard-drives or the cloud then I recommend that you look elsewhere. Optical drives, there isn’t one but this isn’t unique to Chromebooks. Manufacturers are dropping optical drives in Macs and Windows machines to lower prices, reduce size and keep weight down and there are always external USB CD/DVD drives that you can use. Business Apps. Unless your business apps are available on-line you won’t be able to use Sage or QuickBooks or heavy weight design apps such as AutoCAD and Adobe Photoshop. Encryption. For those who are more security focused, encryption might be a problem although your connection to cloud storage will be encrypted and because minimal data is normally stored on Chromebooks this may be less of an issue than it seems. USB devices, you should check that your USB devices such as Sat Navs, audio adaptors etc. work. Big Brother. And finally, if you believe that Google is the modern day incarnation of Big Brother, you have to be happy that it will know a lot more about your work than you might like it to. So, Chromebooks may not be for everybody but then, neither is Windows/Mac/Linux. The key to success, as with all computing, is to understand your needs and make your selection based on those rather than simply rushing to adopt the latest gadget or fad. That’s the way that I approached this and it looks as if it’s paid off, for me anyway.